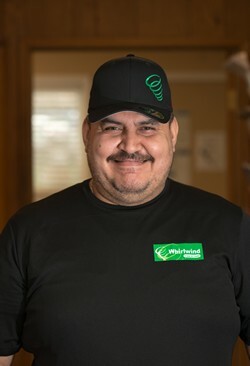 Juan has been with Whirlwind for 6 years. In his free time he enjoys watching soccer. His favorite animal is an eagle, although if he could be any animal he would be a tiger. He loves everything about the Northwest and his number one bucket list item is to go to Paris. His greatest accomplishment is starting a family and is favorite vehicle is a Lamborghini Diablo.